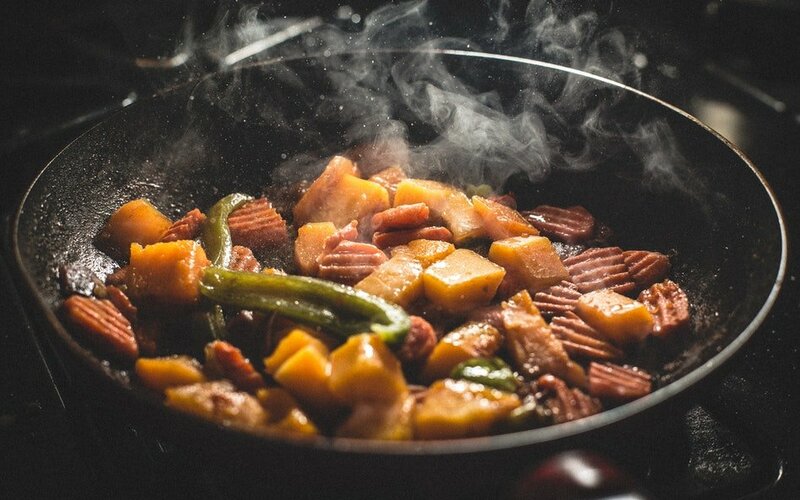 Cooking can be one of the most rewarding activities to pursue. You get to challenge your creativity, and if all goes well, you will have a new and delicious recipe to eat. However, there is one major aspect of cooking that can be incredibly frustrating. It can make you swear you will never touch a pot or pan again. This drawback is bad nonstick cookware. There is nothing quite as frustrating as making eggs or pancakes and having your food stick to the pan so badly that when you go to flip, it falls apart. Fortunately enough, modern technology has made incredible strides in creating nonstick pots and pans. Also, one of the most reliable nonstick options is a material that has been around for years. In this article, we will dive into one of the most popular cookware discussions – ceramic vs Teflon. We will thoroughly examine the differences, the qualities, safety, upsides, downsides, and the prices of each. Hopefully, we can help you decide which one is more suitable for your needs. Ceramic is a solid material that is made out of all natural inorganic materials. These are often non-toxic. When making ceramic cookware, they take a type of metal such as iron or aluminum and coat it in this thin layer of ceramic glaze. This creates the nonstick coating. It is then fired up in a kiln at extremely high heats to make it durable, stronger, and less likely to break, stain, and scratch over time. Due to these high temperatures that are required to glaze the cookware, it is recommended that ceramic cookware never is used at extremely high heats. While ceramic coated cookware is considered new age, the pottery aspect of it has been around for centuries. However, those solid ceramic pots and pans are much heavier than the coated new age options. 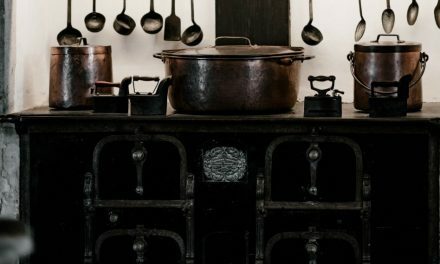 Many people have enamel or porcelain cast iron pots and pans that have been handed down from generations. Teflon is the second nonstick cookware option. It is quite popular but is starting to get a bad reputation. There is a lot of confusion regarding Teflon. Some people believe it to be the name of a product, while others think it is the name for a chemical coating. While Teflon isn’t the name of a chemical, it is the trademarked name for the chemical known as Polytetrafluoroethylene. Teflon brand is known and praised for its nonstick cookware. The brand quickly became a household name in the early 1960s but it is only recently that people have started to learn the truth. The manufacturers of Teflon have always been relatively transparent when it came to their products. 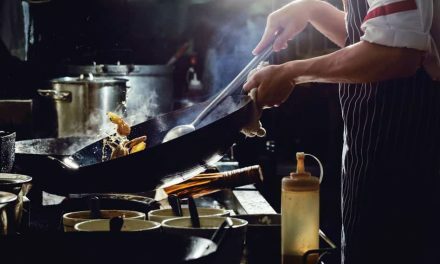 They advised customers to never heat their cookware to certain temperatures but insisted that the coating on the cookware will not release any harmful chemicals with regular use. However, there have been various studies that have proven otherwise. These studies have shown that just in a short amount of time at regular cooking temperatures, this coating can release multiple toxic gases. These aren’t just the pollutants that are killing birds, but carcinogens that can harm humans too. Additionally, at least one of these chemicals can be lethal to humans at certain doses. The first and most important benefit when looking at ceramic cookware vs Teflon is the safety aspect of it. Ceramic is made out of natural materials and the cookware base is often a natural metal such as aluminum, iron, or copper. Ceramic coating is often cadmium, lead, PFOA, and of course, PTFE free. This means it is one of the healthiest options available. There will be no off-gassing or leaching of harmful toxins into your food or the air in your home. Additionally, this is very beneficial for the environment and any animals in your home or outside. It is important to remember that both options will not do well at high heat. Depending on the brand and the other materials in the cookware, ceramic can withstand temperatures between 350 to 500 degrees Fahrenheit. However, this greatly depends on the manufacturer and the other materials used in the pot or pan. While ceramic cookware will simply be damaged by exceeding its recommended temperatures, Teflon can actually be quite harmful. Teflon exceeding temperatures of 500 degrees Fahrenheit will cause it to decompose and release dangerous toxins. Additionally, studies have suggested that it might even be lower heats that could be problematic. You would need to check with your specific brand of cookware to find out its heat resistance. Utensils are an aspect of ceramic and Teflon cooking that a lot of people forget to consider. It is important that when you are working with nonstick cookware, you use the appropriate cooking utensils to prolong the lifespan of the cookware. On both ceramic and Teflon, it is recommended that you use silicone or wood utensils rather than abrasive metal. This is a durability issue with ceramic and a safety issue with Teflon. If you scratch up your ceramic pans you will greatly reduce its lifespan but that is pretty much the worst of it. 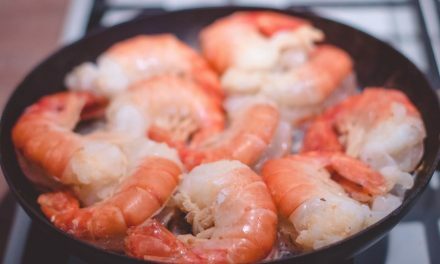 However, if you scratch up a Teflon pan, you may be exposed to dangerous chemicals that could easily make their way into your food and air. When considering ceramic pans vs Teflon pans, another aspect you might look at it is the nonstick capability and which option will allow you to use less oil. Both options perform really well with minimal amounts of oil and release food with ease. However, ceramic often wins when it comes to clean up. The material and grooves of Teflon pans can be a bit tricky to clean compared to smooth ceramic glazes. Furthermore, cleaning up ceramic pans can be as simple as throwing them into a dishwasher or hand washing. Many Teflon pots and pans, on the other hand, are dishwasher safe but have heat, detergent, and cleaning tool restrictions that might make cleaning a bit more of a task. Finally, we considered the price point to a quality ration of ceramic frying pans vs Teflon. The results were quite similar but there were small details that made all the difference. It is important to remember that each result differed greatly depending on brand, and other materials in the pans. However, while the price of ceramic pans and Teflon pans were quite similar, the warranty on ceramic pans was usually a lot more beneficial to the consumer while Teflon warranties left a lot to be desired. Additionally, the lifespan of ceramic cookware outlasts Teflon by a long shot and there is almost no comparison there. The final aspect of the ceramic vs Teflon debate is what you personally are going to choose and what to look for when you decide to make the purchase. The first recommendation we have is to look for a reliable brand with good customer testimonials backing up the company’s claims. Look for multiple sources so that you can get different opinions from wide ranges of people using the pan for different tasks. While it might not seem that important at first, look for reviews that talk about the customer service and warranty. Warranties are a promise made by the company and it is important that the company stands behind those promises and treats their customers with respect and fairness. It can pay off in the long run if you have invested in a high-quality piece of cookware and end up with a faulty piece. Secondly, you should be on the lookout for high-quality materials and a well-built unit. Look for riveted handles that are designed to be comfortable and stay cool in high heats. Make sure that the heat distributors are made with a heavy duty and safe material such as hard anodized aluminum or copper. Finally and perhaps most importantly, the nonstick coating needs to be nothing short of what they promise. Do enough research to ensure you are getting a nonstick coating that is made with the highest quality, natural, and safest materials available. There is no reason to be cooking the foods that keep you alive in chemicals that could wreak havoc on your health. Cooking with nonstick pans should be easy, but for many of us, it can be an unnecessary struggle. 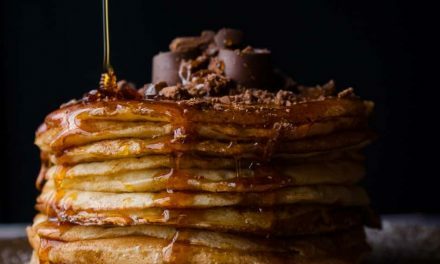 Between filling the pan with unimaginable amounts of oil to completely destroying the pan trying to scrape off food, nonstick cooking can be nothing short of a nightmare. Fortunately, with enough research, a well-informed purchase, and a great nonstick pan, cooking can truly go back to what it was meant to be. Cooking is a means for survival but also a relaxing pastime that should make us excited to get back into the kitchen. We hope this article shed some light on the famous ceramic vs Teflon debate. We aimed to help you debunk any myths and clear up any confusion you may have had. Next time you’re in the market for your upcoming nonstick purchase, it’s important to remember that food release isn’t the most important aspect of a nonstick pan – health and safety are. PreviousIs Stainless Steel Cookware Safe?